A brand new version of Glenn Page's "Time to Sleep" lullaby. Dig it! If you only know Nick Ciavatta from his many appearances in bars and clubs throughout New York and New Jersey, you could certainly be forgiven for thinking that the singer/songwriter's speaking voice is as booming loud and in-your-face as his performing voice. In truth, the impressive way Ciavatta has, for over twenty years, utilized his industrial-strength vocal cords to belt out sardonic songs about prima-donna-ish rock stars and lawn-obsessed misanthropes belies the soft-spoken and gregarious personality lurking beneath the surface. Talking to him in person, one quickly realizes that Ciavatta is about as friendly and down-to-earth as they come, and it's easy to hear why people are eager to recruit his rich, warm tone for everything from Sears and Clear Eyes commercials to voiceovers for the Charlie Rose show. 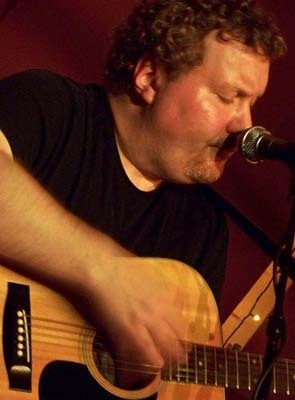 He is, however, an artist first and foremost- one who's not only out there performing his own stuff, but also playing midwife to other up-and-coming musicians by interviewing them on his website or featuring them at his weekly open-mic show in Jersey City. Tune Tipster: Your songs have been described as a mix of folk and punk. Is that blend intentional? Do you find that to be an apt description? TT: OK, that's one I've never heard - definitely sounds like a niche genre. (Laughs.) Okay, well, how about your lyrics? They seem to be far more thought-provoking and satirical than the average rock song. Where do most of your lyrical ideas originate? NC: Thanks. To be honest, I really wish I knew where they came from. Not to sound mystical or anything, but after I write a song I often wonder where the hell it came from. I ask myself, “Did I really write that?” I wrote a song called “Disclaimer” years ago and didn’t realize until relatively recently that the song was actually about myself and this phase in my life. Pretty freaky, huh? TT: Very freaky! So, do you write your lyrics before the music, vice versa, or both at the same time? NC: That’s a great question, and it varies. For the most part, I mess around with a musical theme and then write the lyrics-usually in a 20 minute session. But, I’ve also written entire songs in my head before I even pick up an instrument, which sounds more impressive than it actually is. I’ve also set my poetry to music as well, so I guess the short answer is that it varies. TT: Have you ever had to throw away or re-work words you really loved simply because they weren't gelling with the music? NC: Absolutely-I’ve actually had to scrap entire songs because I didn’t think they were any good, or perhaps they sounded too much like another song. I’ve probably scrapped as many tunes as I’ve kept. I find that I am more focused now than I was when I was younger and tend to only write when I really feel that I have something interesting to say. TT: With that in mind, how do you know when you've written a good song? What do you consider the finest song you've ever written, and why? NC: Wow-that’s a tough one. I’d like to say that I judge a song by audience response, but there’s more to it than that. When I debut a song at a gig and I don’t get fruit thrown at me, I consider it a win. Other than that, it really just goes by the way I feel when I play it. If it feels good to me, it’s a keeper. I think, and some may disagree, that the finest song I’ve ever written is “Anti-Social Butterflies” because I think almost anyone can relate to it, and it feels really good when I play it. TT: Do you set aside time to write, or is it pretty much whenever inspiration strikes? NC: I wish I could be so organized, but it really is whenever inspiration strikes. Unfortunately my muse keeps strange hours. TT: While I agree that "Anti-Social Butterflies" is your finest moment, I think "Dressing Room" is probably your "poppiest" song - in the best possible way. Did you make a conscious decision to write a more accessible tune, or was it merely a happy accident, as you say? Do you ever set out to write a "hit" song, for lack of a better word? NC: Believe it or not, I actually wrote “Dressing Room” in the actual dressing room at CBGG’s in NYC many years ago. There was another band in there that was going on before us and they spent about an hour doing their hair and makeup; yes, it was at the tail end of the hair metal days. They looked very glam, but forgot to tune their instruments, and thus sounded like crap. I wrote that song about them and other musicians who care more about fame and getting laid than their music. I don’t think I’ve ever set out to write a “hit”, but I would be thrilled if one of my songs achieved such status. I think the closest song I have to a hit would be “Life Without Pills” which everyone seems to love and request. TT: Lots of your songs have unusual chord sequences and unique chord configurations. Is that the Frank Zappa and Captain Beefheart fan in you, or is it something else? NC: Another great question! I suppose I am influenced by Zappa, who was brilliant, but I was writing songs before I really got in to Zappa or Beefheart. I was influenced by bands like Queen, King Crimson and the Beatles and Stones as a young guitarist. I would have to say the two biggest influences on my guitar style would be my Uncle, Ren Selvaggio, who was my first guitar teacher and mentor as a child. He was a jazz player in the style of Django Reinhardt or Les Paul, and I think that’s where I first learned about strange and wonderful guitar chords. My other mentor as a child was Buzz De John, who helped me refine my style. I owe a lot to both of them, and learned a lot, not just about music, but life in general from them. TT: You used to play a lot of shows on the Jersey shore, but now you're primarily based in New York and Jersey City. Do you find a difference in the feel of the crowds? Has it forced you to alter your material or your playing in any way? NC: I did play a lot on the Jersey Shore and in NYC and Hoboken back then and I love all the crowds. The great thing about the NYC, Jersey City, and Asbury Park music scenes is that the crowds are so open-minded and accepting of original music. I haven’t had to change a thing about the way I play, and wouldn’t even if I were asked to. 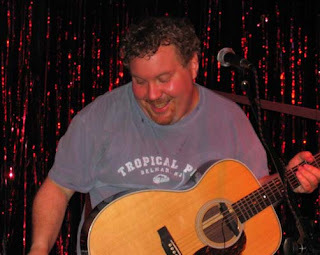 TT: Will Sea of Otters (Ciavatta's band before he went solo) ever "swim" again? NC: We actually are currently swimming under the name “New Otter Review” these days, which features Pat Lally, my cousin and partner in crime on guitar and vocals. Pat was in Sea of Otters and we have thought about doing a Sea of Otters reunion show with former members in the near future. 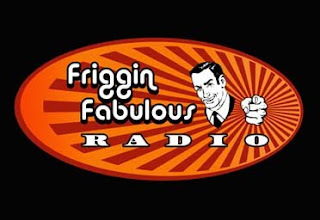 Keep checking Friggin Fabulous Radio Dot Com for updates! TT: Don't worry, we've got it in our favorites. (Laughs.) Finally, what's the best advice you can give up-and-coming songwriters? NC: My advice is to network, network, network! Use My Space, Facebook, YouTube and Linked In to your advantage and find someone that is dedicating to constantly updating your social networking status. It’s also helpful to hook up with a great publicity firm such as Cyber PR, who will work really hard to get your name out there. Oh, and get your music on a Ford or Campbell’s Soup commercial as soon as you can! Find out more about all things Ciavatta here!